Scores of community solar programs are already up and running in the US, but until recently subscribers typically had to pay a premium over the regular utility rate to get their hands on all those clean electrons. The good news is that clean power rates don’t necessarily have to go up. In today’s energy landscape, rates could very well go down — if the program is designed and marketed properly. Continue reading here. EPA photo of a community solar farm on a former landfill. Tina Casey specializes in military and corporate sustainability, advanced technology, emerging materials, biofuels, and water and wastewater issues. Tina’s articles are reposted frequently on Reuters, Scientific American, and many other sites. 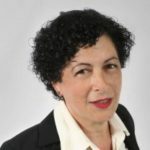 This entry was posted in Community-Scale Solar and tagged CleanTechnica, community solar programs in the U.S., features of sustainable community solar programs, Tina Casey on November 17, 2018 by Helen Deffenbacher.